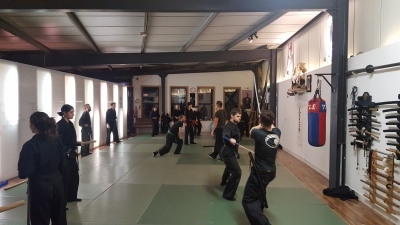 Ian started the class tonight drilling kaiten, and moved quickly onto some basic balance breaking movements to topple uke with correct positioning and minimal effort, the foundation of soke's art. When Alex took over we continued our study of the Jou Ryaku no Maki (上略之巻) from Gyokko Ryu Kosshijutsu, practicing Ketsumyaku 締脈 (squeeze the pulse), revisiting a couple of Jime Waza (chokes) before we started. We moved on from there with some henka modifying the hoshi/omote gyaku grip and footwork for the Seoi Nage part of the waza. 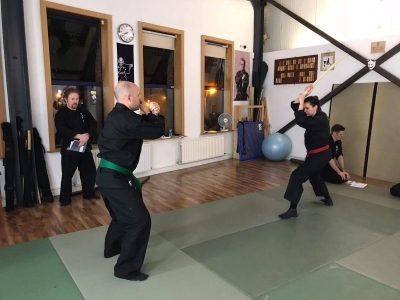 Congratulations to Judan Stiofán O'Conlon on his move to open a new Bujinkan Dojo in west Co. Dublin. Photo copyright Argosy Magazine 1961. 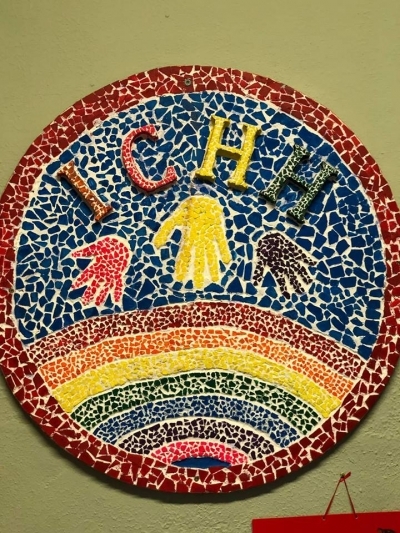 Tonight we came to the last kata in the Torite Kihon Gata 捕手基本型 (hand capture foundation forms) section of the Kihon Happo: Ganseki Nage 巌石投, or Boulder Throw. 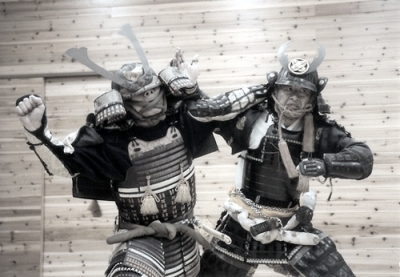 Some discussion was had referencing Muso Dori 武双捕 both warrior capture, which is sometimes used in the Kihon Happo depending on who is teaching it. This may stem from the fact that the descriptions of each of these waza is almost identical in the Shidoshi manual: Ten Chi Jin Ryaku no Maki. So we looked also at Muso Dori and let it evolve, from a more dynamic setup with a punch. After the break the Kyusha studied their individual grading syllabi for the upcoming tests (October 23rd), while the dan grades helped out. 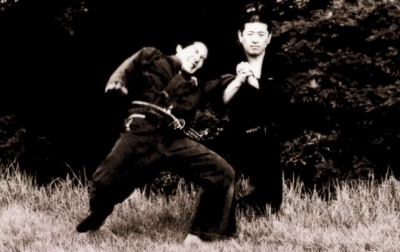 As we come close to the end of the Kihon Happo 基本八法型 (Basic 8), one of the six treasures of the Bujinkan, we focussed tonight on 'Musha Dori' 武者捕, or Warrior Capture. This is the fourth waza within Gyokko Ryu Kosshijutsu, Torite Kihon Gata 捕手基本型, hand capture foundation forms. After looking in great detail at the kihon form, we moved on to henka (variations), when uke may be in a position that makes the waza difficult to execute, and what to do when this is the case. This then evolved into counter techniques to counters, and made for a fun evenings training. 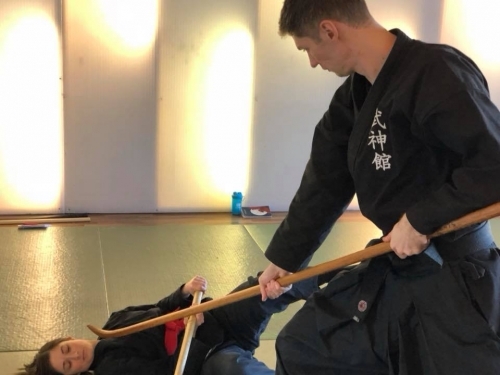 After the break the Kyusha continued to practice the relevent items on their grading list, and the Yudansha got to practice some Battojutsu Ukemi Gata. We had a great turnout of high graded students on Monday, so the structure of the training was modified accordingly. In the beginners course everyone had the opportunity to train with a Dan graded student.